“In the Inner Hall, Daozi painted five dragons whose scaly armor moved in flight. In temples throughout the city, waterfalls spilled from his imagined mountainsides. ‘Aaaaaah,’ someone cried. ‘This man is no ordinary painter. This morning over at Kirkus, I feature a French picture book import from Enchanted Lion Books, Charlotte Moundlic’s The Bathing Costume, illustrated by Olivier Tallec. That link is here today. I might be in the air right now, on my way to ALA Chicago, but due to the wonders of technology, I still have posts this week. 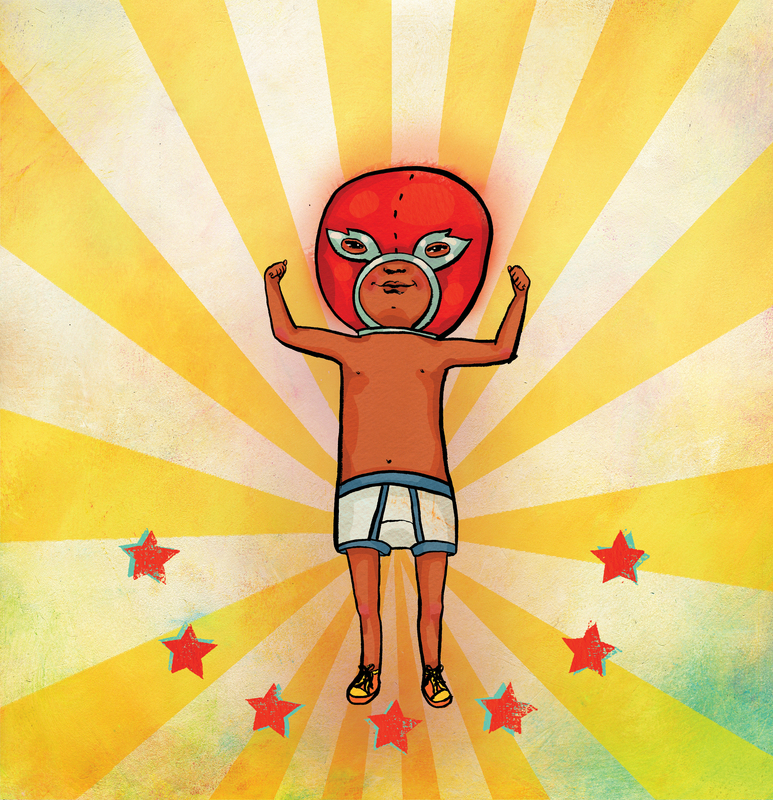 Today over at Kirkus, I chat with author/illustrator Divya Srinivasan about her work. 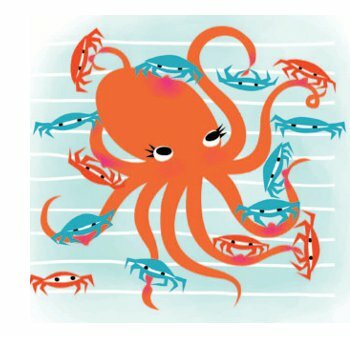 Pictured right is an illustration from her newest picture book, Octopus Alone, which she discusses in our chat. Next week here at 7-Imp, I’ll have some more art from Divya. That Kirkus chat is here today. I’m doing something a bit different today in that I’m not featuring a picture book. 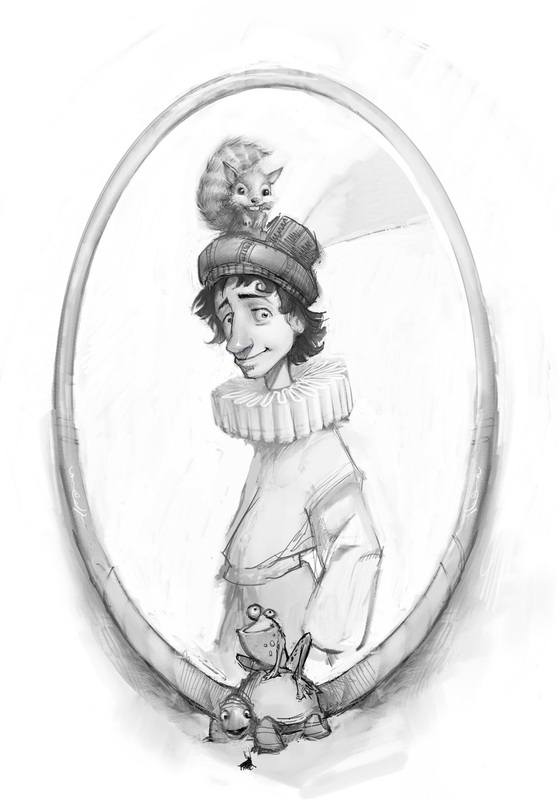 Instead, I’ve got the interior art from two children’s novels that my daughters and I have been enjoying of late. And that’s putting it mildly. They’re pretty crazy about them, and I had the pleasure of reading the books outloud to them and enjoyed them a great deal, too. 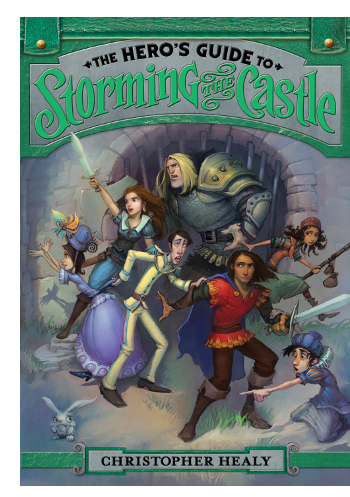 I first read about The Hero’s Guide to Saving Your Kingdom by Christopher Healy (who also writes here about “children’s pop culture from a grown-up perspective”), a book released in 2012 by Walden Pond Press, here at the Horn Book’s site. 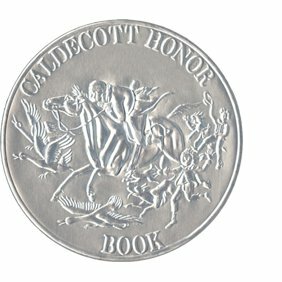 I thought it might be the kind of book my girls would like, and I wanted a good read-aloud. So, I found it at the library, and … well, we were done with it in days. It’s some mighty fine entertainment, this book. The sequel, The Hero’s Guide to Storming the Castle (from which the art above comes), was released this past April, so we pre-ordered a copy from our favorite bookstore, and IF I HAD A DIME for every time the girls asked if the book was there yet … I tried to pace our reading of this second book, once it finally arrived, but a lot of good that did. It was equally entertaining, and we were done in no time flat. 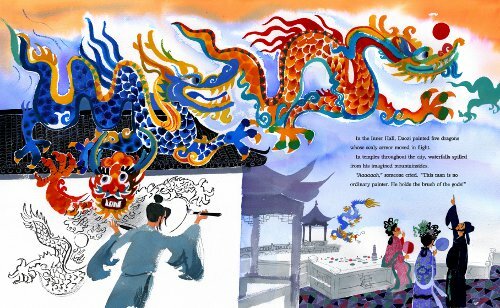 This morning over at Kirkus, I write about Lenore Look’s Brush of the Gods, to be released next week by Schwartz & Wade and illustrated by Meilo So (whose work I love and who visited 7-Imp last year). Last week, author/illustrator Bob Shea chatted with me about how humility is for losers. 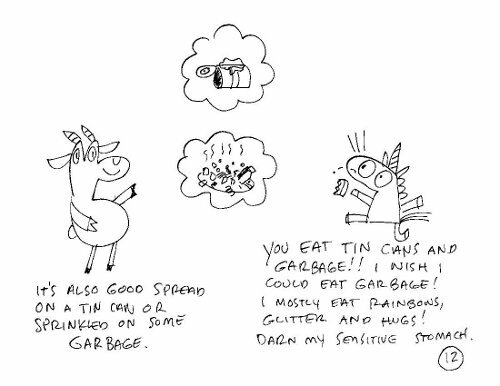 Today, he shares some early sketches and final art and such from his two latest picture books, Unicorn Thinks He’s Pretty Great (Disney-Hyperion, June 2013) and Cheetah Can’t Lose (Balzer + Bray, February 2013). 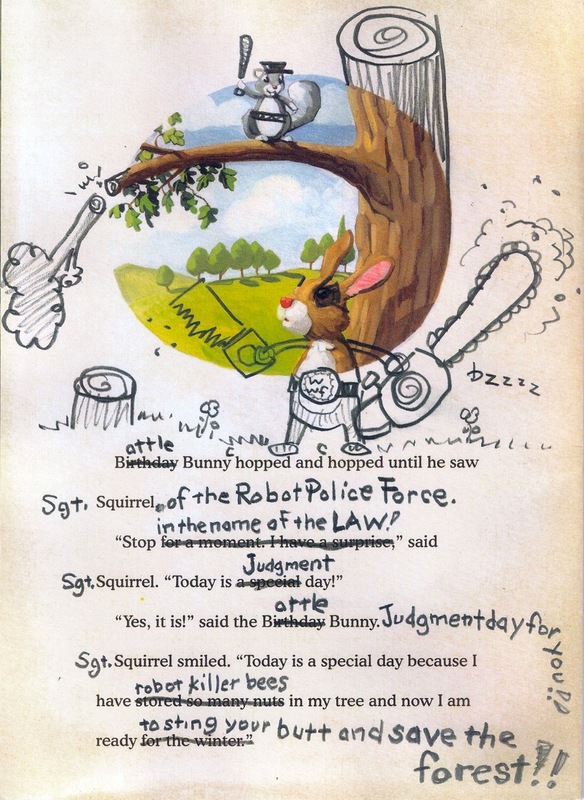 He also gives a sneak peek at his forthcoming picture book, which he mentioned in last week’s Q&A, Buddy and the Bunnies in: Don’t Play with Your Food (to come from Hyperion, January 2014). Last week at Kirkus, I wrote about Yuyi Morales’ newest picture book, Niño Wrestles the World, published this month by Neal Porter/Roaring Brook. That link is here. “The principal has no choice. He pulls Gus off the road. Gus is so sad that he hides in the gym and cries and cries. Just one of Gus’s tears could fill a bathtub. Happy Father’s Day to all, and I apologize that I don’t have Father’s Day art. If only it were Ride Your Dinosaur to School Day … Hmm. I’m shining the spotlight today on a book that will be released in early July, Julia Liu’s Gus, the Dinosaur Bus, illustrated by Bei Lynn (Houghton Mifflin). Both author and illustrator live in Taiwan. Lynn’s illustrations were rendered in watercolor and pencil. “Who needs a bus stop when you have a dinosaur bus?” That’s right. Gus, the big green dinosaur, comes right to your door (or window, if you live in a tall apartment). Gus is careful not to step on cars, but he has big feet, so the city works around him. New road. Snacks lined up along the way (“two tons of french fries”). Road crews repair the holes he leaves behind. The underlying story? A bunny believes all his friends have forgotten his birthday, but in the end he’s given a surprise party. 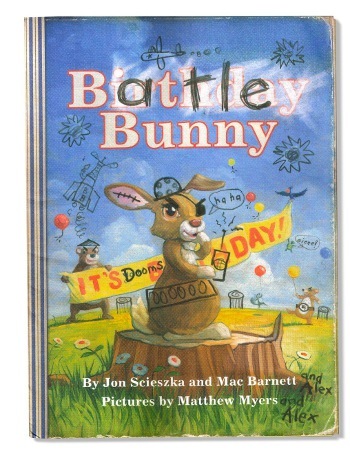 But along comes a child (so the reader is led to believe) with a marker, and this child has wreaked utter havoc on the story and artwork: That sweet birthday bunny is really a battle bunny, the kind who eats carrot juice brain juice and Carrot Crispies greasy guts for breakfast. And he’s actually not so sweet: He has an Evil Plan after all. (Make that birthday a doomsday, and off we go.) Many forest creatures try in vain to stop him. 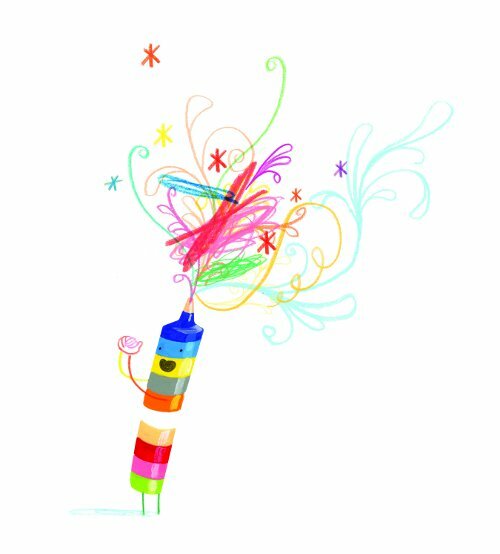 No worries: A boy, named Alex (the vandal we assume has put his pen to the sweet book) tries to stop the dastardly rabbit, and he has a few tricks up his sleeve, as well as a big secret (oh, and some assistance from the President). Are you following all this? Yes, Jon and Mac wrote the sweet story first. 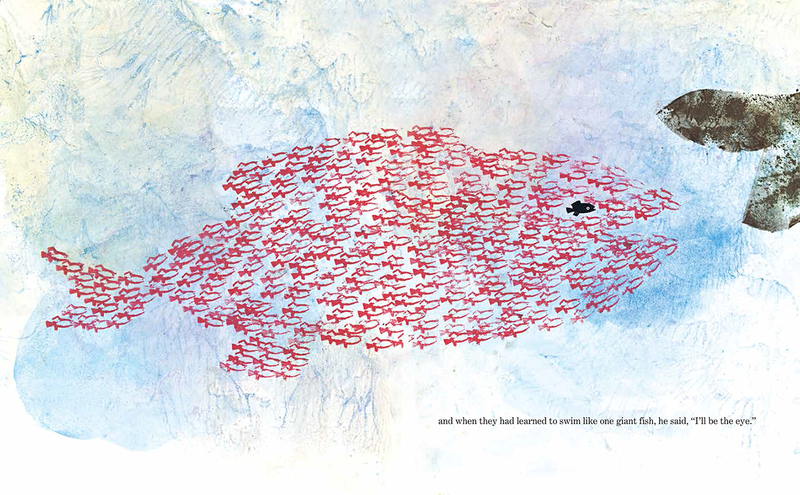 The illustrator, Matthew Myers, illustrated said story. Then, they all got to work again. Defacing. Wrecking. Fun with disorder and disruption. Spray paint cans in hand. Mischief rules here. Today? Bob Shea makes me laugh and talks about how story is boss. Oh, and we talk about his new books, including Unicorn Thinks He’s Pretty Great, which is pretty flippin’ great. Next week, I’ll follow up with lots of Shea art. 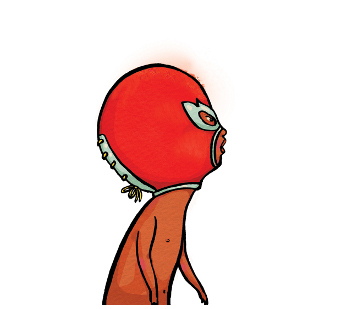 Tomorrow, I write about Yuyi Morales’ Niño Wrestles the World. (Niño is pictured left.) That link will be here tomorrow morning. 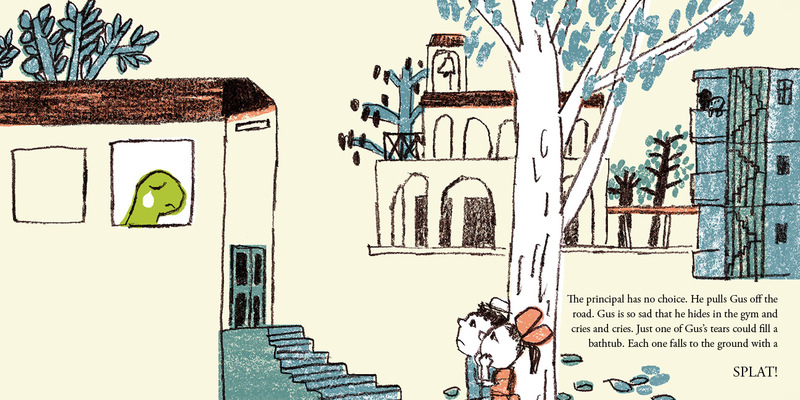 And next week here at 7-Imp, I’ll follow up with art from Yuyi, as well as early sketches from the book.